The swan swims and has white feathers. Almost like the real thing - only just made of glass. 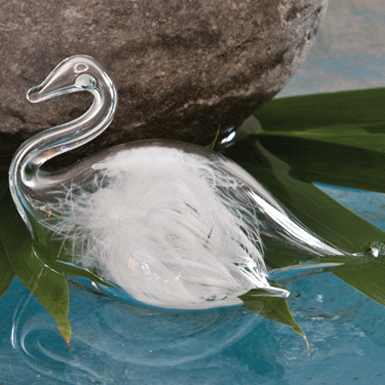 How the feathers resist the great heat during the forming of the glass remains a mystery.